Why Do Physicians Want To Achieve FIRE? Did you become a doctor for financial gain? Or did you have an altruistic reason? The majority of attending physicians state they wanted to help other people regain their physical or mental health. There were many who also said they found medicine fascinating. Perhaps they instinctively knew they would enjoy the excitement of working in a hospital setting. Some wanted the respect and professionalism that the position brought. It might be a combination of any of these. Regardless of why you or your colleagues decided to enter into the healing sciences, achieving FIRE is a worthwhile goal. It’s a path many physicians are passionate about and an interest you might want to have in common with your counterparts. Let’s take a look at achieving FIRE. There’s a line in a song that states “You know where it ends usually depends on where you start”. When you first think about achieving FIRE, you have to consider where you are starting. Due to the (very long) length of your pre-med education and residency (and possibly multiple fellowships), you are starting your career several years later than your cohorts. That means you have a shorter professional career in which to achieve your financial goals. You will also start out your career with a lot more debt than any other professional group. “Wait!” you think, “I’m coming out of the gate with an extraordinary income!”. Shouldn’t that even the playing field? Your success will depend in part on how well you plan for your journey. The first step before you begin any journey is asking yourself a couple of simple questions: Where am I headed? And why am I interested in going there? The first question is easy enough to answer: You would like to achieve financial independence. Why do you want financial independence? The answer in a word is Freedom! An offshoot of that freedom is making the choice to retire early–or not. What does financial independence ultimately mean for you? The freedom to do what you want financially (within reason) without “hindrance or restraint”. The freedom to travel, work or retire. We are ultimately talking about control when we discuss achieving FIRE. There are the physicians that feel they made the right choice when making their career decision. 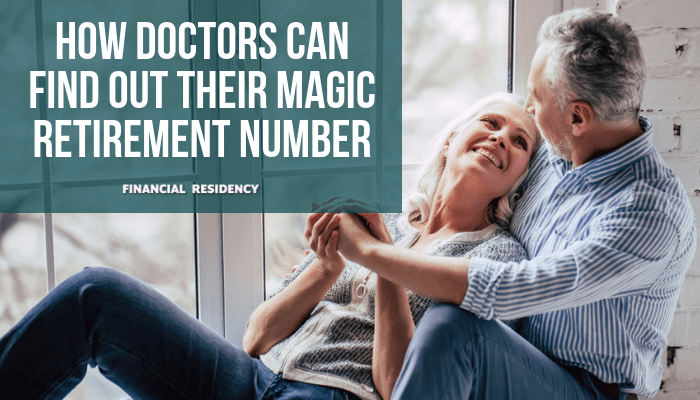 They feel like they are on the right path and they would definitely want to continue practicing medicine even after they are successful at achieving financial independence. And there are physicians who chose a career in medicine only to realize that they have made an expensive mistake. Perhaps, their personality is not suited to the medical environment, or they chose medicine due to family expectations and pressure. There are a plethora of reasons why someone might realize they are in the wrong career. As a planner, the financial independence part excites me! Achieving FIRE gives physicians in both categories choices! Do you know how you are you going to get there? It all converges: going through the rigors of medical education, the student debt piling up, learning to deal effectively with your finances, seeking financial independence and later on dealing with possible burnout. Then making the decision to build financial independence. What sparked your interest in the decision to work toward achieving FIRE (Financial Independence Retire Early)? Due to the lack of financial education, many people don’t know how to start setting themselves up for financial independence. There are a few differing philosophies on which path you need to take in achieving FIRE. There is a group in the FIRE movement that is dedicated to being ultra frugal. Maybe they enjoy the challenge! However, if you are hating your life because you aren’t spending any money, even on the things that you enjoy–you are missing the point. An example might be if are an avid college football fan or love live music but you refuse to spend money indulging yourself in those experiences while saving for a future that may never materialize. The point is to enjoy the journey and plan for the future! Physicians enjoy professional life and volunteering in the community. Most enjoy practicing medicine and want to do more of that. The goal is to have more interaction with the patients and less administrative work. Unfortunately, the weight of caring for patients, your own character traits, lack of work/life balance, and the staff you work with cause stress and ultimately burnout. There are also meetings, long hours, endless documentation and the increasing complexity in dealing with insurance carriers. These also play a part in feelings of burnout. Burnout lets you know something is wrong. It lets you know you have a problem and is the way to right the ship…. It tells you it’s time to take stock of where you are, where you want to be and figure out how you are going to get there. Yes, when you became an attending physician, you saw a sudden, large increase in your salary. Ideally, before you became a new attending physician, you had already begun your financial education. You were listening to our podcast and reading our blog. You knew that we advocate for new attendings to give themselves a 50% raise. You had already internalized the effects of lifestyle creep and its effect on your dream of achieving FIRE. However, sometimes situations aren’t ideal! Perhaps, you are just now realizing that something has to give in the way you handle your finances. There is every chance the thing you jeopardize will be your goal of achieving FIRE! Has a jump in spending or lifestyle creep already happened? What red flags are you seeing? And more concerning, which red flags are you missing? After becoming a new attending physician, the rise in income may throw your finances off course. Your suddenly liberated pocketbook may cause you to make reckless decisions. Even if lifestyle creep happens slowly, you can wreck your chances of achieving FIRE. Are your loans are out of control? Did you overspend, overcommit, buy too much house, and/or sign-up for too big of a car payment? Or too many car payments? Or too big of a car payment and too many? These indicate a lack of a budget or goals. 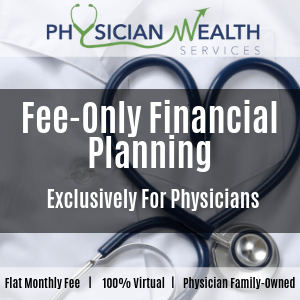 Whether you are a new attending physician or you are in mid-career and looking to gain control over your life, in order to reach financial freedom and achieving FIRE, there are solutions. One solution is to remember that you become like the five people you spend the most time with. You naturally become a copycat. You can get trapped by mimicking their spending habits. How does that work? They go for expensive dinners on the weekends, you accompany them. They play golf on expensive links–you play golf on expensive links. Can you go for PSLF? Do you already have some time with PSLF? Another example of a situation that makes a difference: If you are on PSLF but took a job for $40k more, when you could have taken a job for $40K less and work five miles from where you live and get back into PSLF. The scenarios are endless. There is not a cookie cutter solution for everyone. You might need help sorting through your options. If you decide help is necessary, you will need to find someone who can give good honest unbiased advice. Lifestyle inflation can be fixed. You can create a budget that will include taking care of your present needs, getting out from under your debts and planning for the future. Being aware of who you are spending time with and your spending habits when you are with them can be fixed. We can even give you a secret weapon for your quest of achieving FIRE! Many people don’t realize the impact their childhood has on their finances. Childhood lessons that you learned surrounding money may be buried deep in your subconscious. Those past experiences are probably affecting your financial decisions today and you don’t realize it. That is until you examine your childhood experience regarding money and hold them up against your current behaviors around money. There are a lot of good articles online to help you examine the link between your childhood experiences with money and your current behavior. There is a special magic that happens when you work through your issues and behaviors surrounding money and start dealing with your feelings–and spending habits. The biggest and most effective secret weapon in handling your money activates when you start examining the emotion behind your spending decisions. Why are you getting out of bed? What does that ideal life look like? Are you spending in a way that makes you happy? These questions may cause the lightbulb to go off in your brain. They may set in motion a deeper examination of your life needs and wants. Achieving FIRE might be just the goal that sparks a path you never expected. Which path might that be? This section harks back to our earlier discussion on control. It is about control and choice, both are nice to have. They equal freedom. There will be those who say why retire early? Why give up a career that you had to fight so hard for, just when you are getting to the peak of your knowledge and experience? However, if you are burned out or made the wrong career choice changing paths at your career peak may make sense to you. If you have been successful in achieving FIRE, the transition to a new challenge may prove to be a relief! Let’s say you made the right career choice. You love being a doctor, but you really would like to spend more time with your family. The children are growing up so fast and some of them may be out of the house soon. You realize you don’t want to be like the father in the song Cats In The Cradle. Because you budgeted, crushed your student debt, invested well, and worked on achieving FIRE, you have options. You can continue your medical career on your own terms. That may mean you can structure your career to take away the burden of administrative work! What if you chose the wrong career path? Or you are burned-out? In these scenarios, what are your options? Because you budgeted, crushed your student debt, invested well, and worked on achieving FIRE, you have options. You can consider the options above for scaling back your work hours or you could retire and find a whole new purpose! Becoming a doctor was a long, hard path that took an enormous amount of focus, determination, and resiliency to succeed. Someone who has the wherewithal to become a doctor is among the top 1%. However, a physician isn’t taught the complexities of putting together a financial plan. A plan that takes into consideration your budgeting needs and explores the intersections of psychology, while navigating the maze of student loan options, insurance options, investment options, and employee benefits options. Achieving FIRE can be quite a huge undertaking. That is especially true if you are a busy attending physician. With financial education and a couple of secret weapons, we feel sure that you can find solutions to all your money problems. Which path are you on? Do you feel like you made the right career decision in becoming a physician? Did you take the wrong path? How do you plan to adjust your course? If you haven’t found the Financial Residency Community on Facebook, please do! But, first, be sure to subscribe to the podcast!